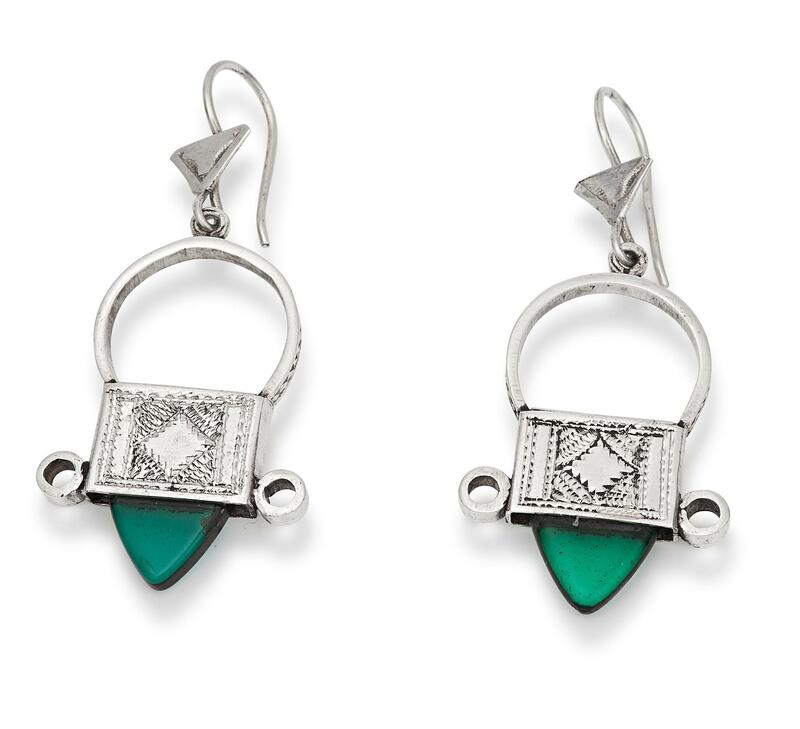 Gundara is offering you here beautiful Tuareg silver earrings with green glass, handmade in Niger. 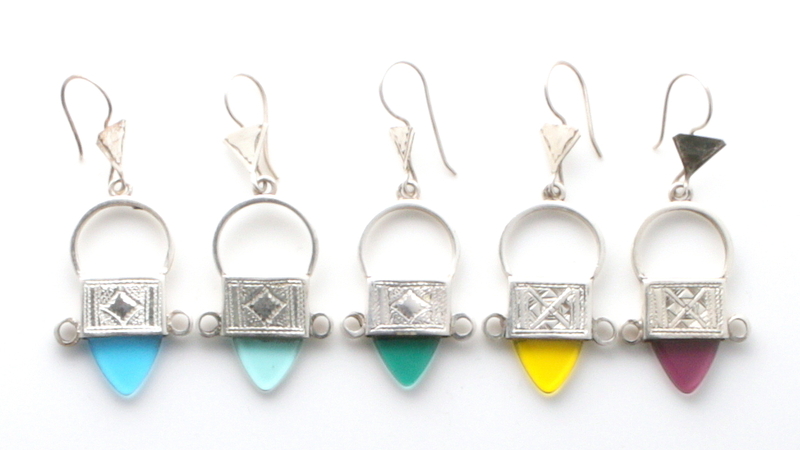 The cross of Ingal is the symbol of one of the 21 Tuareg tribes in Niger. 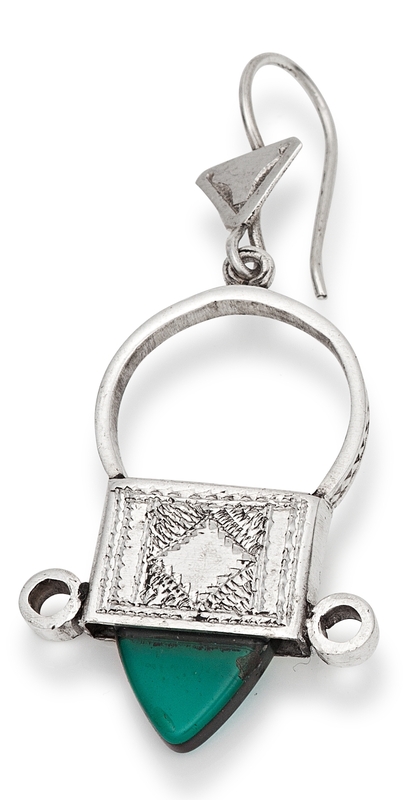 The same cross one also finds on the camel saddles of the Tuareg. 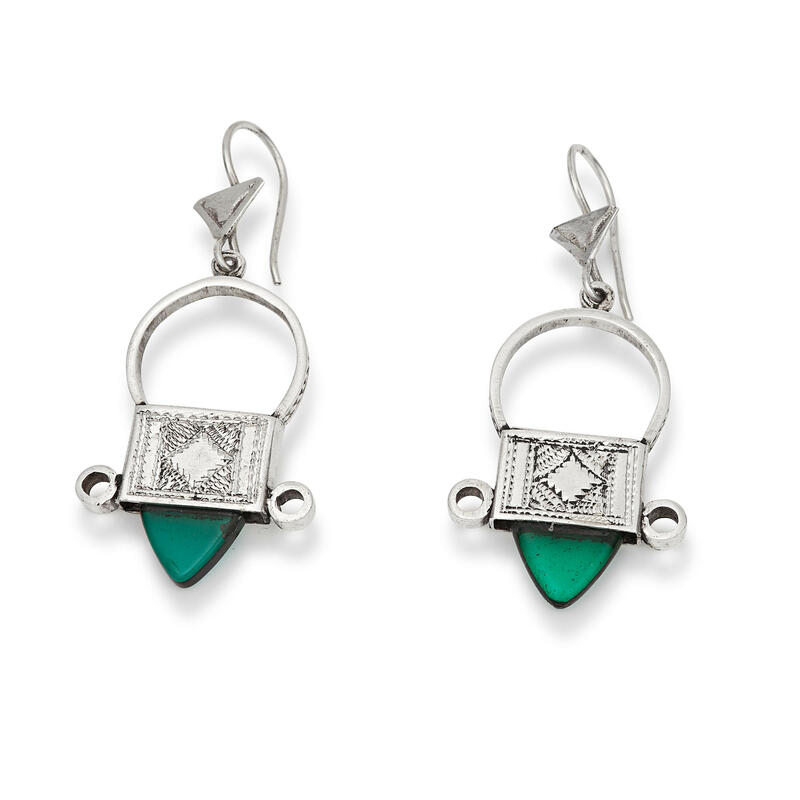 Other than that the earrings are decorated with roads, traces of goats and snakes. Just underneath the hook one can see the dunes of the desert.